Modern advancements have made it easier than ever to be productive when you’re on the go – even when you’re 39,000 feet up in the air. Advancements, from technology to airplane design, mean that those hours spent traveling to business meetings, or vacation destinations do not have to be lost. 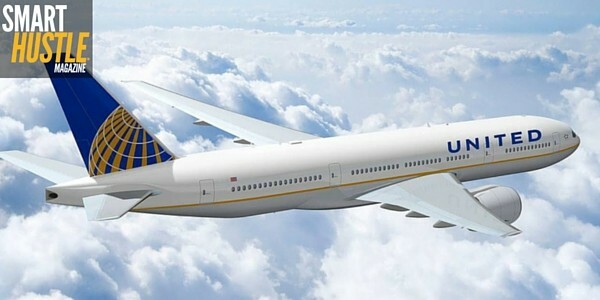 One company that is paving the way in travel productivity is United Airlines. At SXSW 2016, I was able to get a sneak peek at their latest innovations in first class seating. The seat tray is now equipped with a back stand for your tablet. Rest your tablet in the stand and it will sit up without you having to hold it. The headrest has been revised to improve comfort. There is a storage bin between the seats, which gives you more room to store things near your seat that you want to have readily accessible. The electric plugs have been moved up to a new location, making them easier to see and access. You can get a glimpse of these updates for yourself by clicking play on the video below. After you see how United Airlines is improving travel productivity, also check out my tips below.
.@united has made improvements for #biz travelers. Check them out and these 5 travel tips. Productivity and planning go hand in hand. As you are packing for your trip, also plan what you want to work on during the travel. Make sure you have all the materials you need and they are easy to access. While you may plan to work on your laptop during the flight, don’t forget to plan tasks that you can tackle during take-off and landing when portable electronics must be stowed. While electronic charging plugs, such as those offered by United Airlines, are convenient, you can avoid any potential downtime by making sure the devices you will be using are fully charged before your flight. Not every airline, airplane or flight will have Wi-Fi. If you’re counting on internet connectivity, make sure to do your research beforehand to find out not only if Wi-Fi is available but how much it costs. This article has general information on availability and costs, but be sure to check your specific flight as well. Distractions on the plane may make it hard to concentrate on your work. If you are easily distracted, invest in some noise-cancelling headphones or wear earbuds to drown out the noise. Over the years, airlines have increased the number of seats which has led to a decrease in the amount of space each person is entitled to. Business and first class seats provide ample room to work productively (plus perks, like those that United Airlines has just revealed). If you’re sitting in economy class, exit row seating offers a little extra space and there also may be premium seating (available for an extra cost). SeatGuru is a website that will let you see aircraft seat maps so you can make an informed decision. Today’s technology and airline design choices have increased travel productivity, so commute time is no longer wasted. Follow these tips and even when your head is literally in the clouds, you can continue to work and grow your business.